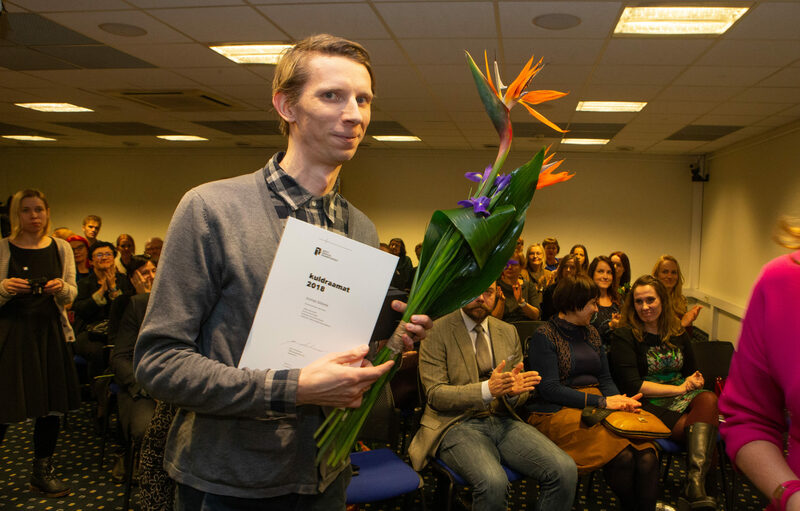 The winners of the competition 25 Most Beautiful Estonian Books of 2018 were awarded last night at the National Library of Estonia. Also selected among the top 25 most beautiful books was the graphic novel by comic artist Joonas Sildre, Between Two Sounds published by the Arvo Pärt Centre. The book was also awarded the Golden Book special award. Illustrated and designed by Joonas Sildre, the graphic novel Between Two Sounds is about Arvo Pärt’s searches in music from his childhood until 1980, when the composer’s family was forced to leave Estonia. That period also saw the birth of his new composition technique, tintinnabuli. The comic artist Joonas Sildre has delved into the composer’s life and music; he has worked through numerous archival materials and managed to present the biographical material in a vivid artistic form. Between Two Sounds. The graphic novel about Arvo Pärt was published by the Arvo Pärt Centre, edited by Aile Tooming and printed by Tallinn Book Printers (Tallinna Raamatutrükikoda). Joonas Sildre is an illustrator, graphic designer, caricature and comic artist as well as a visiting lecturer at Tartu Art School. The most beautiful books can be viewed from 7 to 26 February in the main exhibition hall of the National Library of Estonia. Readers can also pick their favourites by voting at major bookstores Rahva Raamat and Apollo or at the exhibition at the National Library. The voting will be open until 26 February. The graphic novel Between Two Sounds can be purchased from the online store of the Arvo Pärt Centre.